Venice in November was for us as fascinating and magical as in summer months. More quiet, sometimes covered with fog, it presented a different face than during busy tourist season. 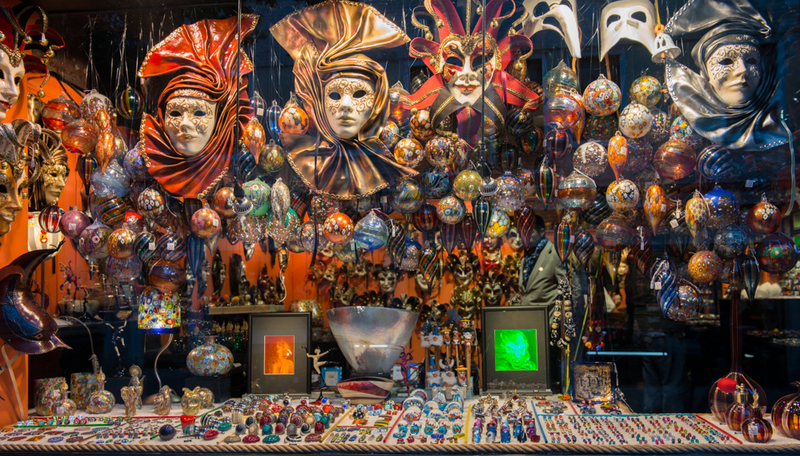 We were fortunate that after finishing photographic work for a client, we still had time to explore this amazing city. 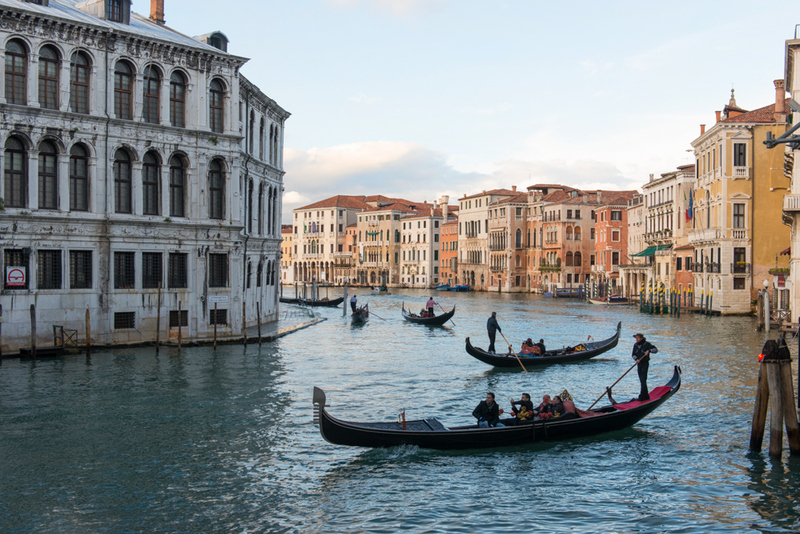 Here are a few of “our discoveries” about Venice we would like to share. 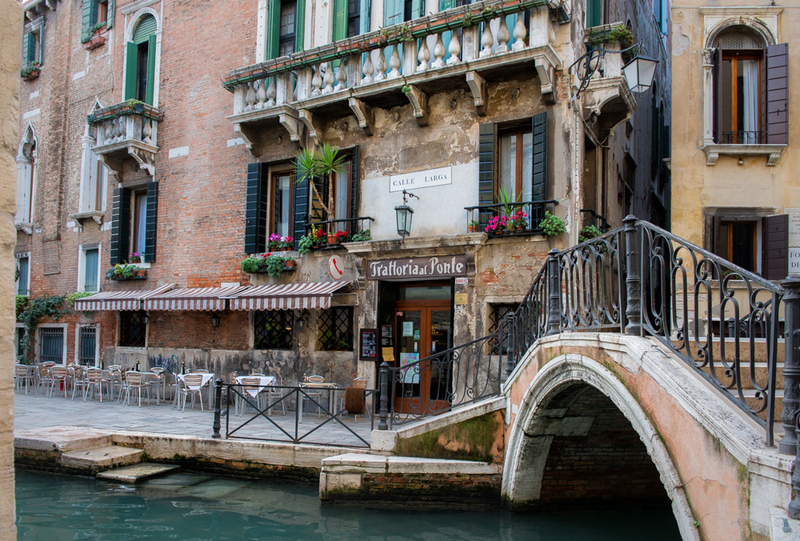 Although Venice is small enough to get across within a couple of hours, it is also one of the easiest cities to get lost. We were drawn into the maze of narrow streets and canals, some marked as calle, fondamenta or ruga or simply not marked at all. 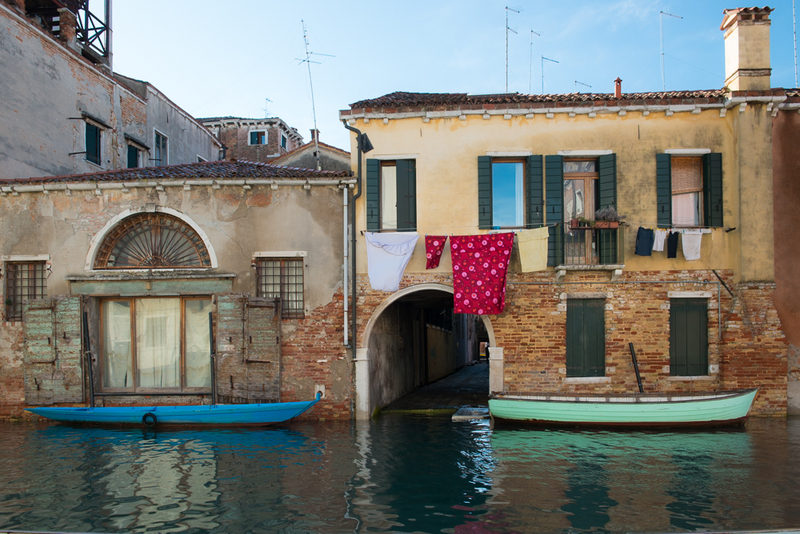 Getting lost in the tight lattice of alleys in Cannareggio and Castello was a highlight of our Venice experience. The 118 islands that make up the city are small; space is very precious. Surprisingly, we encountered many private, secret gardens hidden behind ancient walls, tiny courtyards filled with exquisite plants, roof terraces shaded by pergolas and balconies full of greenery. 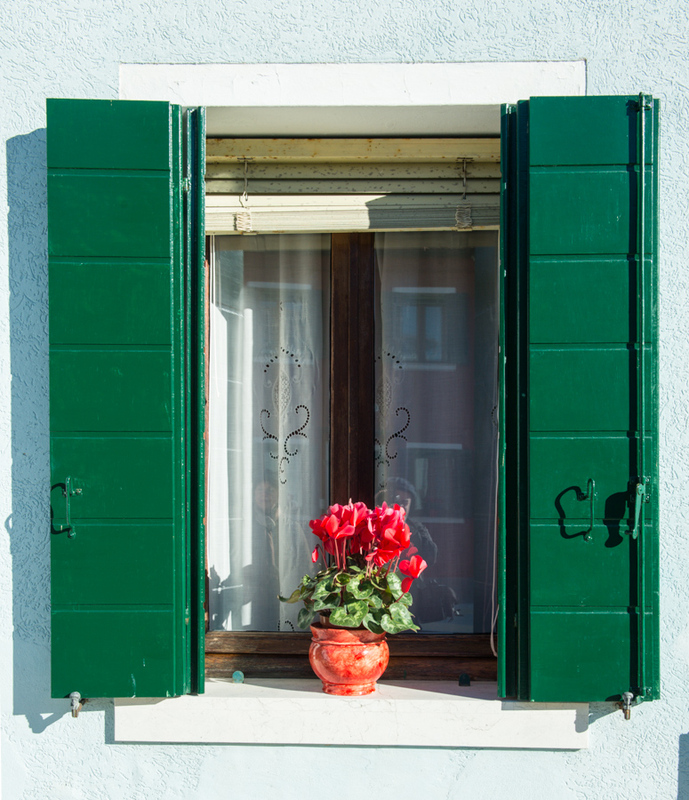 Narrow windowsills made of stone displayed clusters of white and red cyclamens on almost every building we passed by. 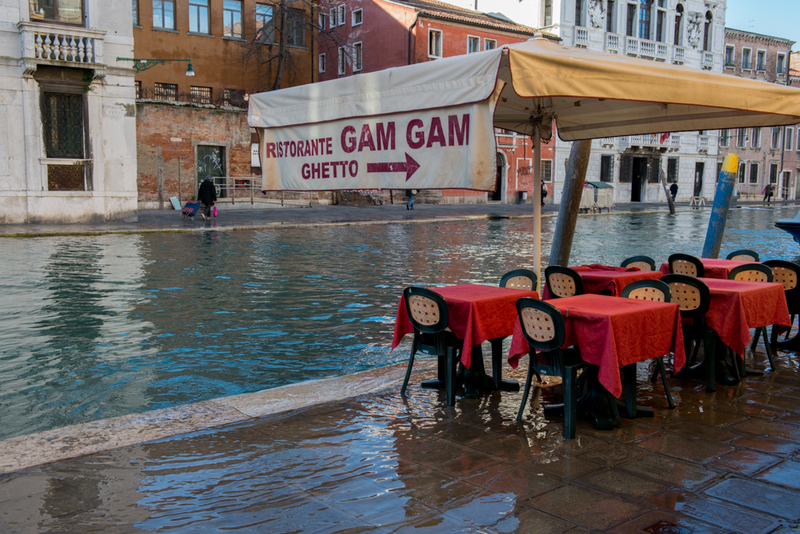 “Acqua alta” – high water – occurs in Venice more often that we thought. It happened twice during the week of our stay. 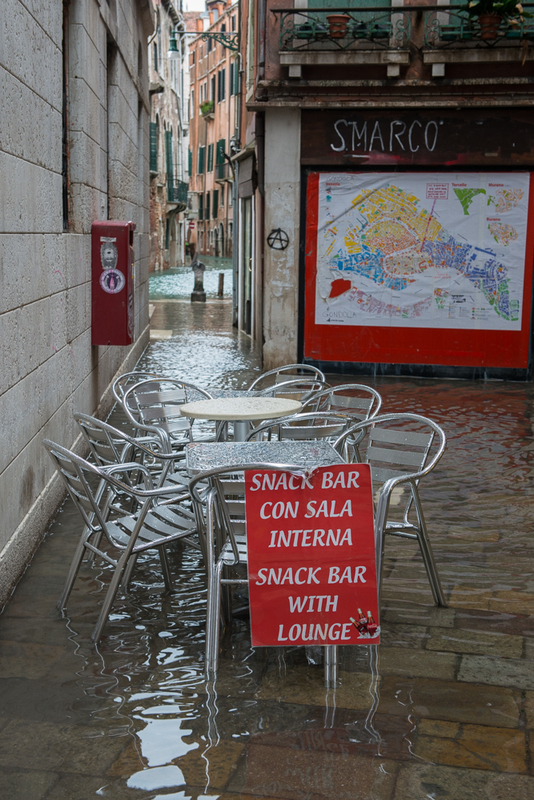 This temporary flooding is caused by exceptionally high tides, and it usually lasts for 3-4 hours. At that time, the most fashionable shoes are rubber boots, and you really need these to get across Piazza San Marco. City installs a network of elevated gangways for pedestrians when this tidal phenomenon happens. It is hard to believe that the island of Torcello was once a thriving centre of the whole lagoon even before Venice was built. Today, almost nothing remains of its former splendour. 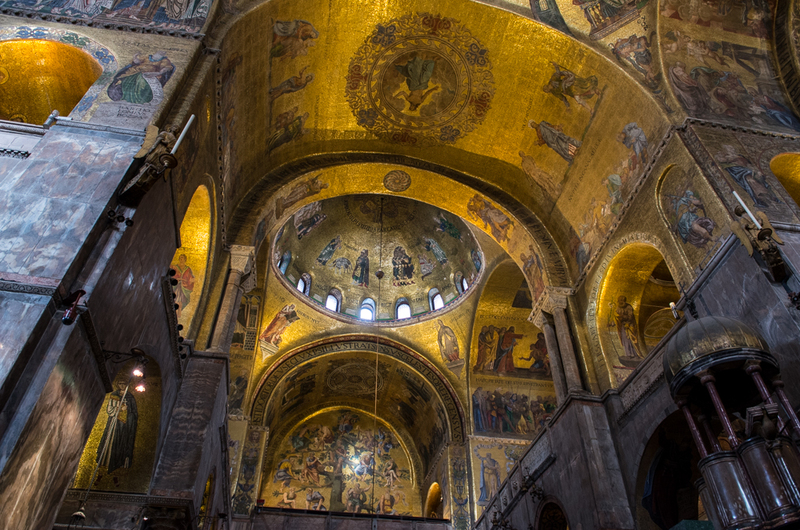 The major attraction is the Cathedral of Santa Maria Assunta founded in 639 with Byzantine mosaics, the oldest in Venetian lagoon. 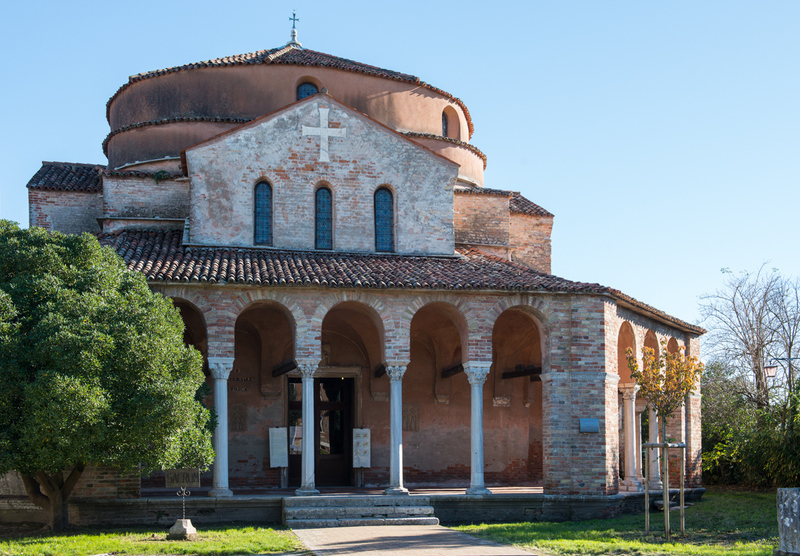 Torcello reached its peak in the 14th century, and was finally abandoned as a result of devastating malaria. This quiet and peaceful island offers a perfect refuge from busy streets of Venice. 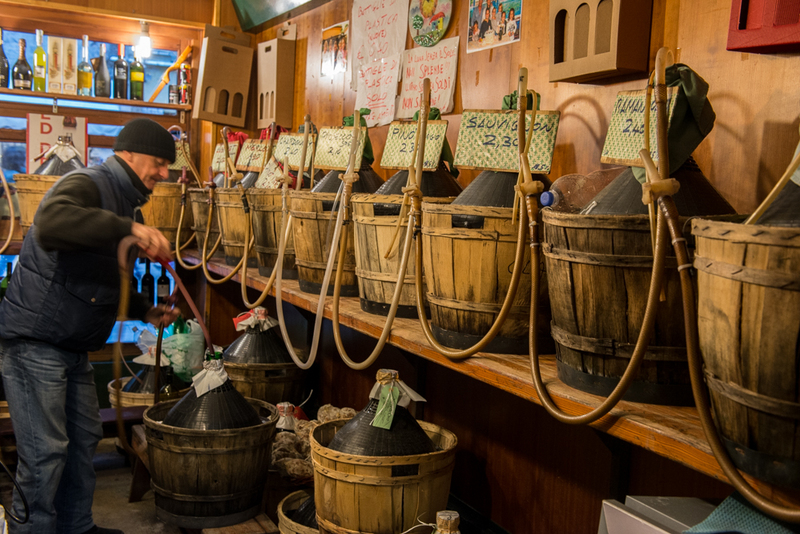 A traditional wine shop – bring your own bottle, and get a fine wine at a super-low price! We hope you enjoy this short story by Margaret Gajek and photos by Derek Galon. If you do, please share and follow our blog for more. Until next time! Ciao!